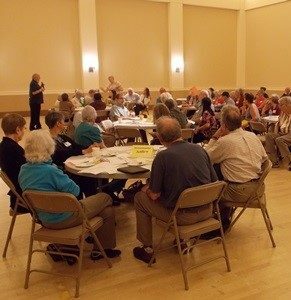 FOR SUCH A TIME AS THIS: PRAYER, FASTING AND ACTION (#PrayFastAct): The next “For Such a Time” day of prayer, fasting and action with the Episcopal Church is Friday, July 21. This month, the presiding bishops of both churches urge action to protect funding for the U.S. International Affairs budget. Our country has a rich history of fighting extreme poverty and responding to humanitarian crises around the world. Although it’s less than 1 percent of the federal budget, foreign assistance has saved millions of lives and continues to do so today. With more than 20 million people at risk of starvation globally, and millions more displaced, the need for foreign assistance is as great as it has ever been. As a church together, we ask our members of Congress to protect funding for international programs that provide relief and support livelihood for the poorest among us. Visit elca.org/PrayFastAct for resources and to learn how to take action. HEALTH CARE IN CONGRESS: Senate leaders released their draft reform of the Affordable Care Act in late June. The Congressional Budget Office reported that under the current Senate proposal, 22 million people would lose their health coverage over 10 years – many from families who would choose to opt-out of health care after massive deductible increases. Like the House bill, the Senate version would also reduce Medicaid spending for low-income households, increase costs for people with pre-existing conditions in certain states, and roll back important improvements made for women, veterans and seniors. Following announced opposition from other GOP senators, Majority Leader Mitch McConnell pushed back the voting timeline until after the Fourth of July recess. Lawmakers will likely discuss the best way to proceed on health care as they go back to their home districts. ELCA Advocacy posted an action alert after the Senate bill was released, with over 1,000 Lutherans responding. With the members of Congress back in their districts, now is a critical time to contact them on health care. IMMIGRATION: On June 16, Department of Homeland Security Secretary John Kelly took back the Deferred Action for Parental Arrivals (DAPA) policy. DAPA, which was signed by President Obama and was never implemented, would have provided deportation relief for undocumented parents of U.S. citizens children. DAPA, signed by the Obama administration, was never implemented. Kelly also signaled that the original Deferred Action for Childhood Arrivals (DACA) program, which provides relief from deportation to thousands of young people who grew up in the U.S., will remain for the foreseeable future. At the end of June, the U.S. Supreme Court agreed to review rulings from lower courts that blocked the implementation of President Trump’s executive order on refugees. In addition, the court granted the Trump administration’s request to allow a part of the travel ban that prevents citizens from six countries without ties to the U.S. to be denied entry into the U.S. ELCA Advocacy is coordinating with Lutheran Immigration and Refugee Service (LIRS) to ensure our full support for the refugee resettlement program. You can read the full LIRS statement and action alert on the issue here. WOMEN AND PEACE: On June 20, the House of Representatives passed the Women, Peace, and Security Act of 2017 (H.R. 2484), a bill requiring the U.S. government to promote meaningful participation of women in mediation and negotiation processes that seek to prevent, mitigate or resolve violent conflict. The bill will now go to the Senate for consideration. ELCA Advocacy is monitoring the bill and continues to support women’s inclusion in peace processes worldwide. For more on critical international issues, from the ongoing UN Climate Action Plan to the debate on why Foreign Assistance matters, visit the ELCA Advocacy Blog. PLAN OF ACTION FOR RELIGIOUS LEADERS AND ACTORS TO PREVENT AND COUNTER INCITEMENT TO VIOLENCE THAT COULD LEAD TO ATROCITY CRIMES: On June 12, the World Council of Churches held a formal briefing with the U.N. Office on Genocide Prevention and the Responsibility to Protect on the Global Plan of Action for Religious Leaders and Actors to Prevent and Counter Incitement to Violence that Could Lead to Atrocity Crimes. The briefing focused on the role of faith-based organizations, religious entities, and religious actors in anticipation of the July 14 release of the Global Plan of Action, the first of its kind that addresses the role of religious leaders on prevention. Simona Cruciani, the political affairs officer at the U.N. Office on Genocide Prevention, previewed and outlined the five regional consultations that have occurred since 2015 in which over 250 religious leaders in 80 countries participated in the creation of regional plans of actions. There will be a half-session on implementation strategies for faith-based organizations on July 17 following the launch of Global Plan of Action on July 14. WESTERN STATES YOUTH GATHERING, Dream Big, was held at California Lutheran University at the end of June. LOPP-CA’s director, Mark Carlson, partnered for a couple of care for creation and climate-change workshops with a Ventura County-based AmeriCorps volunteer serving with CivicSpark, an initiative of Gov. 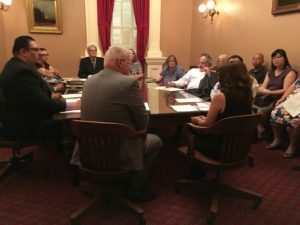 Jerry Brown and the Local Government Commission, which places energy and water fellows with local governments, working on a diverse array of projects. Carlson also initiated invitations to presenters to do other workshops on youth and climate change (California Interfaith Power & Light), immigration and refugees (the Rev. Alexia Salvatierra), and gun violence (Joint Episcopal-Lutheran Gun Violence Prevention Task Force of Southern California), each offered twice. Several sessions drew standing and sitting-on-the- classroom-floor crowds of interested youth and adults. LEGISLATIVE UPDATE: SB 54, the California Values Act, which seeks to separate state and local law enforcement from immigration enforcement in most circumstances, passed the Assembly Public Safety Committee and continues a path to the Assembly floor, where the outcome is uncertain. Over 15 faith leaders and advocates (see photo right), including Carlson, the Rev. Jason Bense, and Sierra Pacific Synod Bishop Mark Holmerud and his wife, Debbi, (a retired high school principal), met with two of Gov. Brown’s policy staff. The values of due process, hospitality and the safety and dignity of all were shared. A few shared their stories, including a couple accompanied by the Holmeruds. Gov. Brown has not yet indicated a position on SB 54. 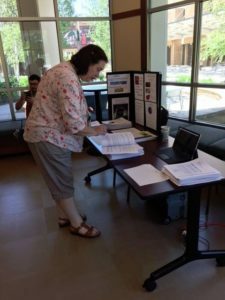 SENATE HEALTH CARE BILL: Lutherans were out in force to respond to the released draft of the Senate’s Better Care Reconciliation Act. Colorado Sen. Cory Gardner was one of the lawmakers who worked on the bill behind closed doors, and Lutheran Advocacy Ministry-Colorado helped facilitate visits to the senator’s offices around the state to respond to the proposed deep cuts in Medicaid and other critical health care services. 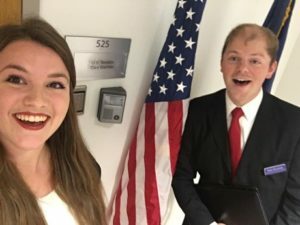 In Denver, Director Peter Severson joined Rocky Mountain Synod intern Kaari von Bernuth (photo below) to speak to staffers about the people who benefit from Medicaid and to advocate against lifetime per capita caps. In Gardner’s home town of Yuma, Col., staff from Eben Ezer Lutheran Care Center in Brush (50 miles to the west) drove to visit the senator’s office, including CEO. Shelly Griffith, Deacon Ro Fesser, and the Rev. Dan Hays. 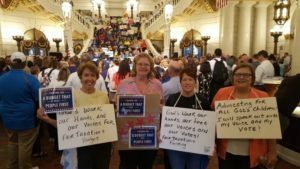 They shared stories of the nearly 130 people living at Eben Ezer who benefit from Medicaid, people who would be severely hurt by the proposed cuts and lifetime caps. Eben Ezer also serves an additional 130 Medicaid clients through home-health services in a seven-county region. We will continue to join our Colorado-based and national partners in advocating for health care reform that doesn’t cut off services for poor and vulnerable people in order to pay for tax cuts for the wealthy. Stay tuned! 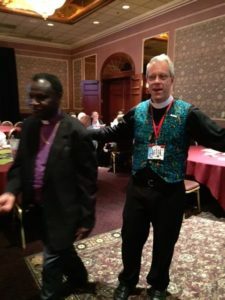 For more on this story and others like it, visit the Rocky Mountain Synod blog, RMS in the Neighborhood. CONTINUING CHAOS: The session is over – everything is settled. Right? Wrong! The tax bill included a provision to defund the Department of Revenue if the bill was vetoed. Even some key negotiators seemed blindsided that it ended up in the final bill. So, seeking leverage to bring the Legislature back to the negotiating table on a few items, Gov. Mark Dayton line-item vetoed Legislature funding. Was that unconstitutional? Some say it violates the balance of power, but the statute doesn’t prohibit it. Was it unconstitutional for the Legislature to defund the Revenue Department if the tax bill was vetoed? Now the courts are involved. Let’s see what happens! THANKS FOR GOOD BEHAVIOR/WORK AND PRAY FOR BETTER: Despite new lows for extreme partisanship and sneaky deals in the dark, some legislators maintained respect and civility throughout. Thank Majority Leader Paul Gazelka for his respect of everyone and for negotiating in good faith (regardless of policy positions). Encourage him to help limit incivility and posturing, and to take a lead facilitator role in future negotiations. Thank Gov. 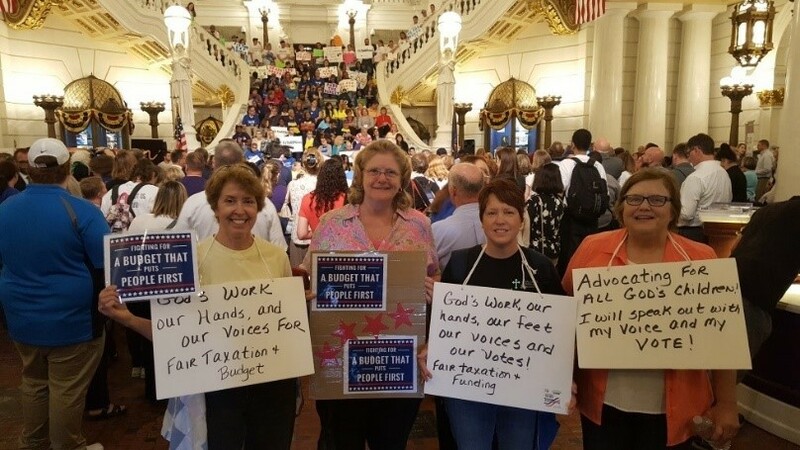 Dayton and his commissioners for negotiations that prevented some of the worst cuts and excesses, even if some provisions still hurt vulnerable people and God’s creation. Urge House Speaker Kurt Daudt to work for better civility, to let legislative action be more transparent, and to consider de-escalation training for the House and its leaders. Confrontation and posturing aren’t helpful; neither is adding provisions that weren’t part of negotiations. FEDERAL ISSUES: The president’s budget proposal would cut and change many programs in very harmful ways for vulnerable people and God’s creation! Watch for coming action alerts! Like and follow us on Facebook; follow us on Twitter, and check for updates regularly on our website. INTERIM LEGISLATIVE WORK BEGINS: Delayed by a special session and by legal challenges coming out of the special session, the important work of legislative interim committees has now begun. Interim committees meet from June until December and are committees that include members of both the state Senate and state House of Representatives. The committees, which usually meet monthly, study and hear testimony about various subjects and issues of concern to the state. LAM-NM monitors, attends and provides comment or testimony for several of these committees that relate to issues included on our advocacy agenda. Of primary interest are the Legislative Health and Human Services Committee, the Revenue Stabilization and Tax Policy Committee, the Mortgage Finance Authority Oversight Committee, the Legislative Finance Committee, and the Courts, Corrections and Justice Committee. LAM-NM has already encouraged the Legislative Health and Human Services Committee to consider agenda items that pertain to the many people living in poverty and experiencing hunger in our state. The $32 billion spending plan was passed with bipartisan support. Gov. Tom Wolf has voiced support but will likely not sign until after a revenue agreement is reached. To balance the budget, lawmakers must find revenues to cover a $2 billion-plus projected shortfall. STATE POLICY: Our Legislature is in its third special session, and budget negotiators from both parties are trying to avoid the June 30 fiscal cliff. FAN has joined the Jewish Federation of Greater Seattle and key faith leaders in Washington to sign a letter asking for funding for safety-net programs. There are three bills we are still fighting for this session: Breakfast after the Bell, Paid Family and Medical Leave, and a solar incentive program for businesses and households. FEDERAL POLICY: FAN is working with our D.C. allies to resurrect and advance the Sentencing Reform and Corrections Act in Congress. FAN’s main congressional issue is monitoring and advocating for a less egregious federal budget, e.g. 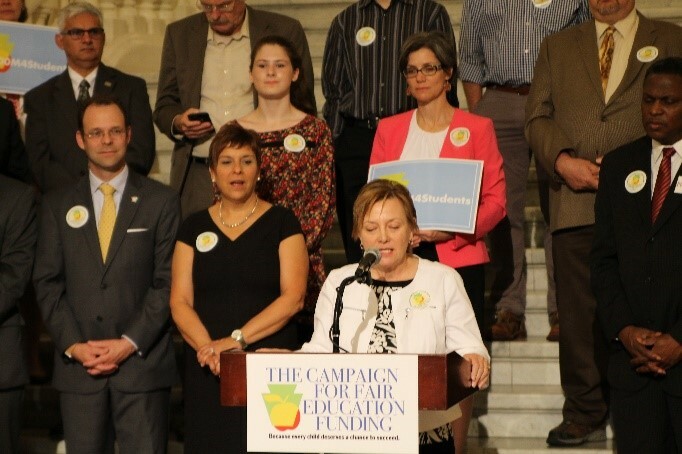 securing more support for SNAP funding (HB 1276). LOCAL POLICY: FAN testified in favor of an income tax ordinance in Seattle. Washington has the most regressive tax structure in the country, but the ordinance passed unanimously out of the City Council committee. Many efforts at tax reform have failed in our Legislature because of a 1930s state Supreme Court case that essentially disallows tax on income, so this ordinance will become a new test case. STAFFING: FAN’s Governing Board has decided to raise additional money to fund a full-time organizer position to begin sometime in September. Click here to view the job description and posting. 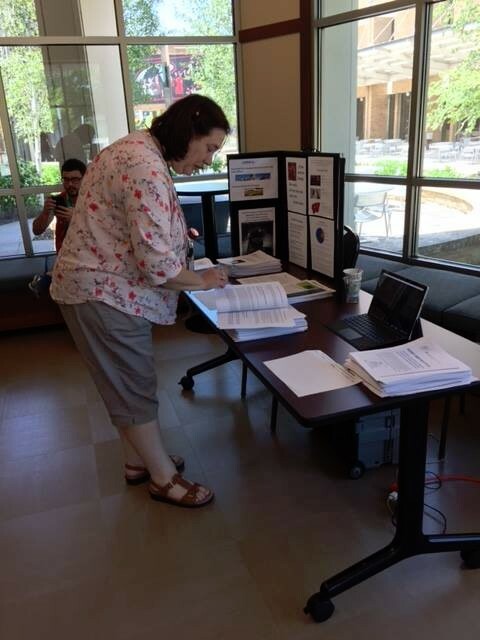 CARE FOR GOD’S CREATION: LOPPW’s director helped organize the annual Wisconsin Climate Table all-day annual retreat. Although we focus on climate change, we have decided to add water issues to our efforts. 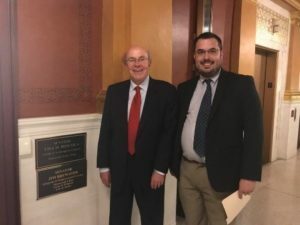 Recently a bill to deregulate some of the protections of water affected by high capacity wells in Wisconsin was passed. LOPPW supports a bill to facilitate utilities to help low-income residents get lead out of their pipes, but it was put on hold. A coalition of secular and faith-based groups is meeting over the summer to discuss a compromise made on the bill and possible next steps. LOPPW created a Vimeo video of one of meteorologist and ELCA member Bob Lindmeier’s presentations on climate change. More than 120 people attended his presentation at St. Luke’s Lutheran Church in Madison. FEDERAL: LOPPW continues to support our D.C. office’s efforts on health care and immigration. In June, we led one presentation on the farm bill. Before being elected bishop, Nasari was part of the hunger team LOPPW’s director assisted organizing in the synod.